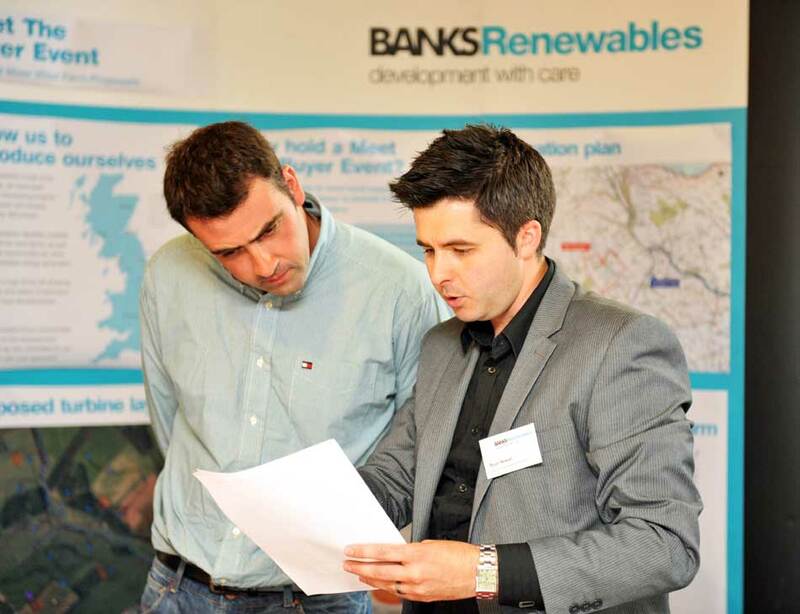 Locals in Dumfries and Galloway welcomed news of a community partnership approach in a proposed wind farm, at a series of public exhibitions held by Banks Renewables. Under the proposed community partnership, communities surrounding the development would secure a share of the revenues generated from the wind farm, which they could then plough into priority community projects and initiatives. They also would have the opportunity to purchase an increased stake in the wind farm once commissioned. A specific initiative put forward by Banks Renewables which was warmly welcomed by attendees, was an employability and training initiative, which Banks Renewables hopes to develop in partnership with Dumfries and Galloway Council as well as local businesses in the area. This would have the clear objective of creating new opportunities for local people to help them into employment. Following further design development taking account of feedback from the Council, statutory consultees and from the ongoing discussions with local people and businesses, Banks Renewables hopes to be in the position to submit a planning application by the Autumn.